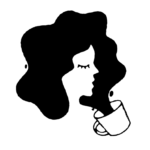 If you ever found yourself shopping in thrift stores and vintage shops for the coolest patches to tack onto your jeans, denim jacket, or backpack, then Torrid’s new vintage-inspired denim styles are just for you. 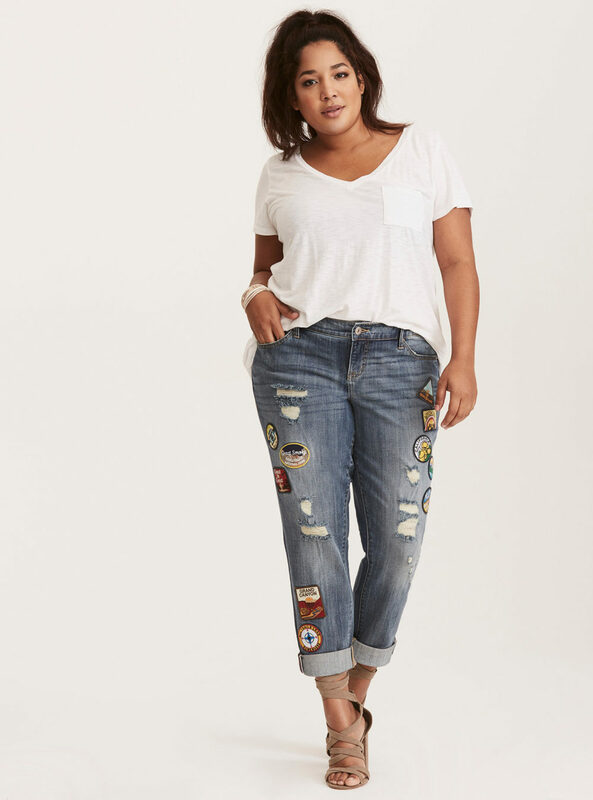 Playing with the popular fit of boyfriend jeans, Torrid’s two new denim styles transport us back a few decades with one pair featuring floral embroidery, and the other cut tastefully scuffed and covered in patches. "Rock patches from California’s Venice Beach to North Carolina’s Great Smoky Mountains in these ultra-trendy "road trip inspired" pants, or pay homage to the roaring '20s with whimsical floral embroidery straight from the enchanted gardens of the decade. These vintage-inspired jeans give an exciting new twist to the Boyfriend fit that everyone already loves! With the unique story of each pair sewn into the inside-right pocket, these jeans are guaranteed to be the coolest items in your closet." Both of the styles were just added to Torrid’s premium denim collection for fall, and they easily transition from work to happy hour! Let’s have an up close look, shall we? These immediately make us feel like we’re at a drive-in movie with our high school crush. This cute pair can play for both casual and semi-dressy occasions. 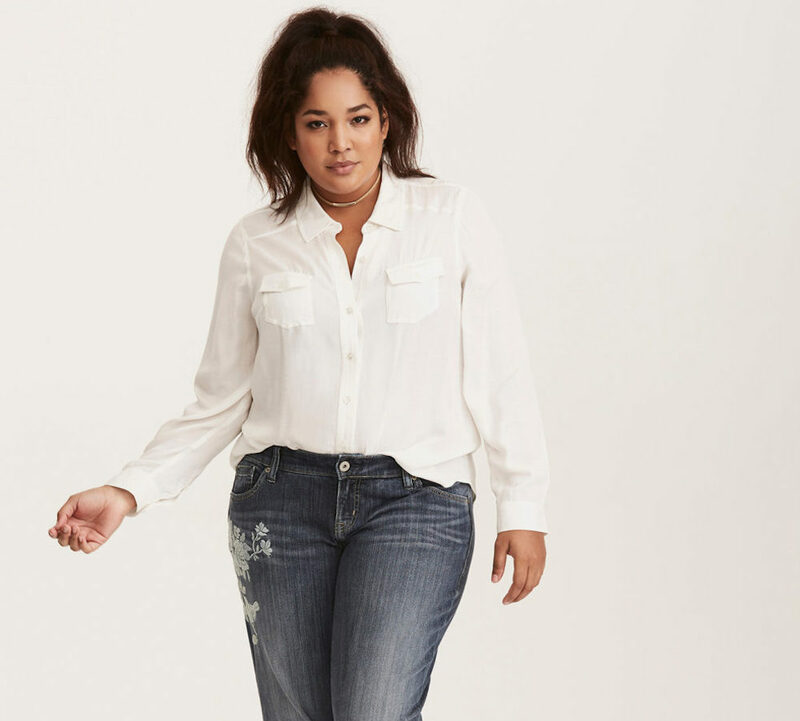 You can peep both of the Vintage Premium Denim styles up close on the Torrid website.